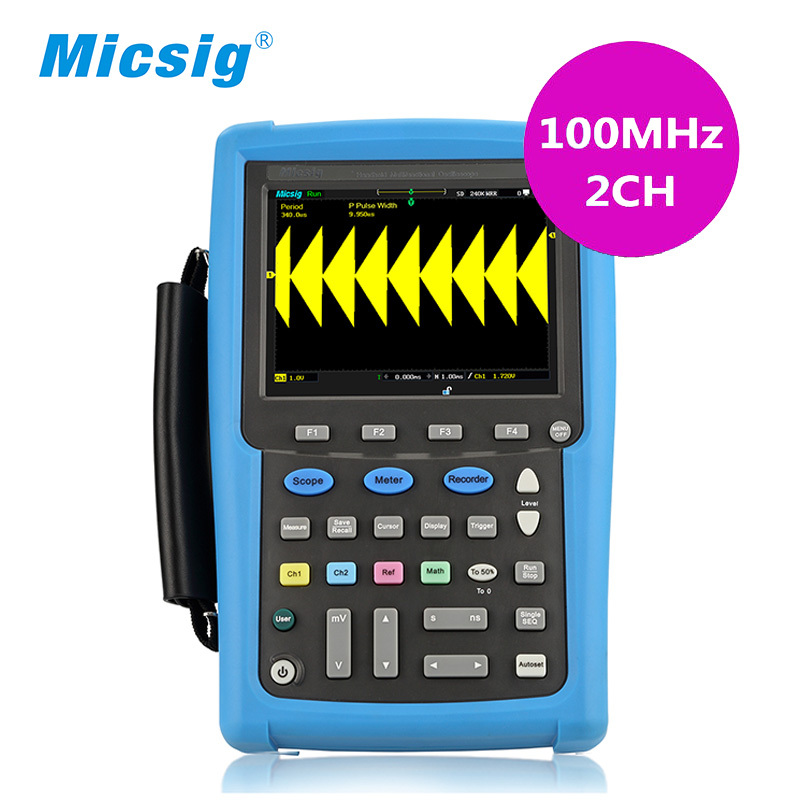 Micsig Handheld oscilloscope MS400 series is the hobbyists' favorite on line shop because of super cost effective. 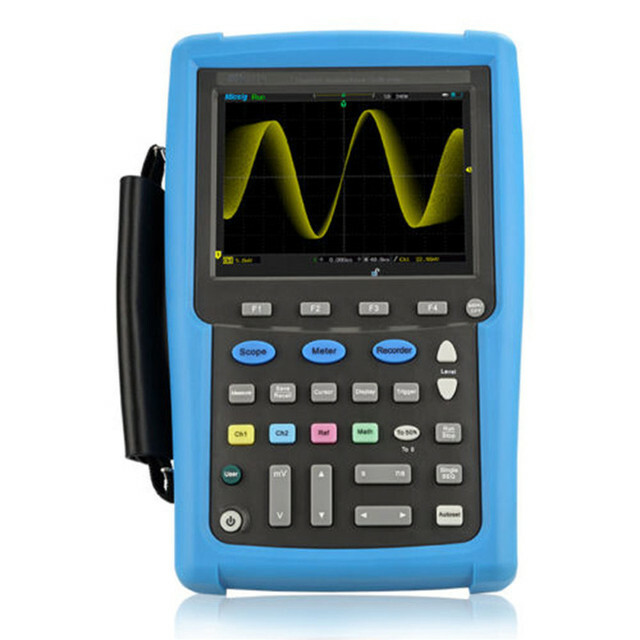 It uses double injection plastic mould making oscilloscope high IP level and giving you better handling experience; And it weighs only 1.6KG so that you won't feel tired to use it. Besides, exclusively detachable battery design makes you no any worry in field testing. What's worth mentioning that it uses 5.7 inches 640*480 pixels industry TFT LCD touch screen & supports button, touch and scroll wheels operation mode; Integrating scope, meter & recorder in one unit and unique scroll wheel & touch designs making handheld operation more convenient; Rapid response of operation system & online built-in helping menu making your testing work really easy & high efficient. This series of handheld oscilloscope fit comfortably in one hand, it's an ideal choice in the field on electrical measurement, test and maintenance tasks. Notice belt is not include standard accessories.